Baden van Hout is the specialist in the field of wooden outdoor tubs, indoor tubs and shower cubicles. A warm bath is like a second mother. Have you ever been in a hot bath in the night, under the starlit sky? 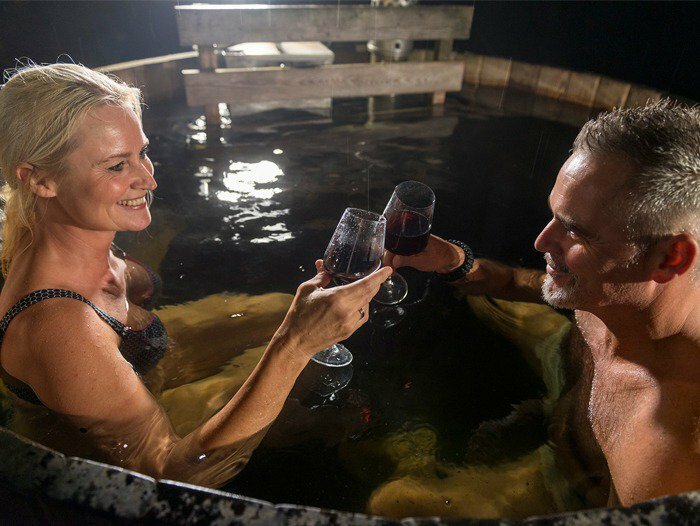 With a TÜNNI hot tub you can relax and enjoy. And feel energized. This is the place where brilliant ideas take form and where pure delight carries you away. A glass of wine, a dish of cheese laid on a table attached to the tub. The perfect pleasure in a stressed-out society. The combination of the hot water, the open air and the atmosphere takes you into a new world. Imagine an evening together with friends in a Tünni. It strengthens the bond and enhances the enjoyment. Besides, the Tünni is a beautiful object to have in your garden. 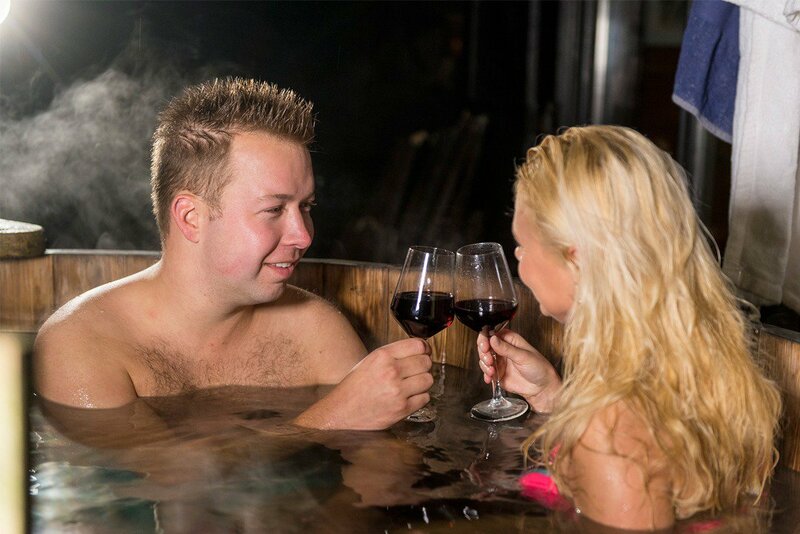 With a TÜNNI (hot tub), your leisure time takes on a whole new form. Bathing in the Summer or in the Winter, no matter the weather… it is possible. The indoor tubs are made of Oakwood. Very attractive and stylish in your bathroom. Such an indoor tub is ideal for those who are looking for an romantic alternative for metal or synthetic material. The tub is easy to clean. A practical solution for in and around your house is a wooden shower cubicle. This shower is especially suitable for comfortable privacy.